Happy Monday, hope you had a good weekend! 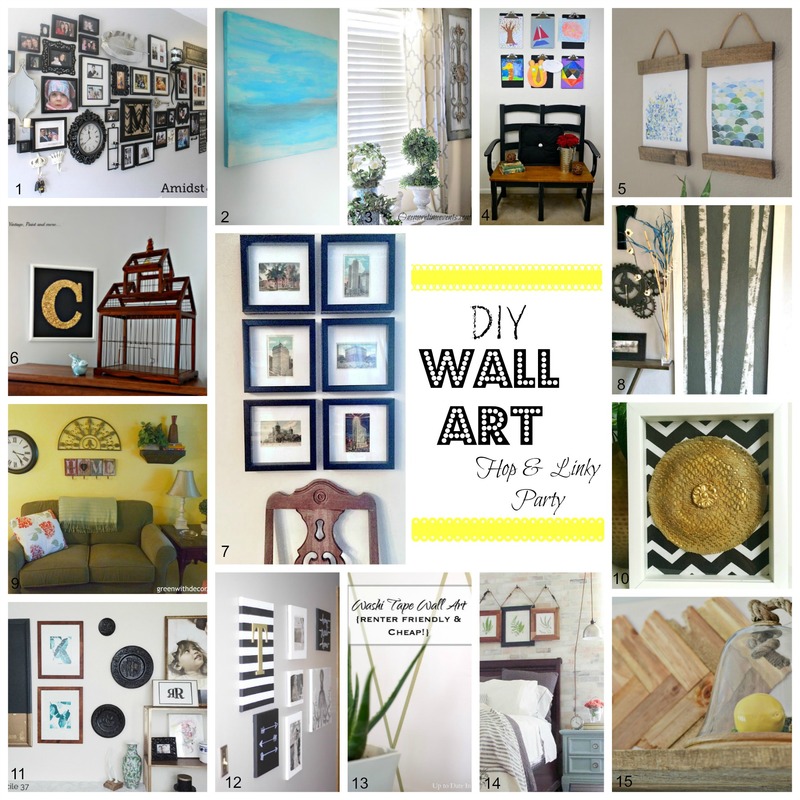 I have a really fun blog hop and linky party to share with you; Its dedicated to DIY Wall Art. 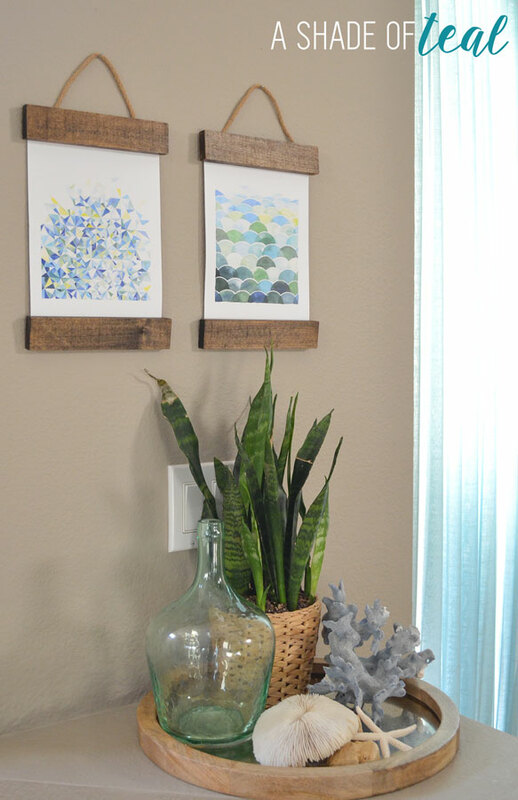 I love creating new art and these amazing ladies and I teamed up to showcase how we create and feature DIY Wall Art in our homes. They all did such an amazing job don’t you think? 5. A Shade of Teal, that’s me! For my art I chose to focus on my living room. Since my living room floor is done, the start of decorating has begun. I still need to install all the moulding and touch up paint, but for now I have some cute art hanging in my entry. -Art, I found mine on Etsy. My entry has a pony wall with this small oddly shaped platform for decor. Finding the perfect size tray was a challenge but I found this tray at Target. 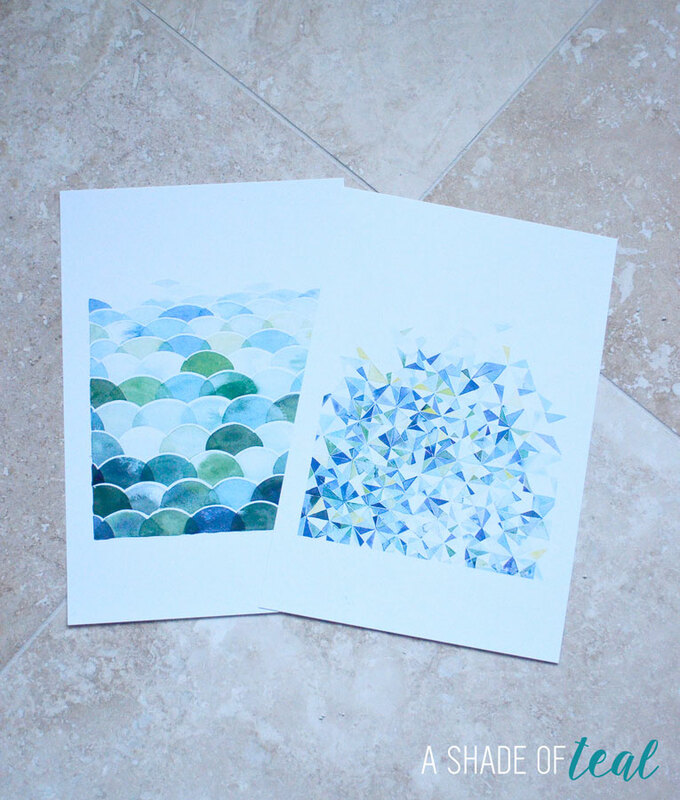 The art I found on etsy from a artist named Yao Cheng Design. I love her stuff! 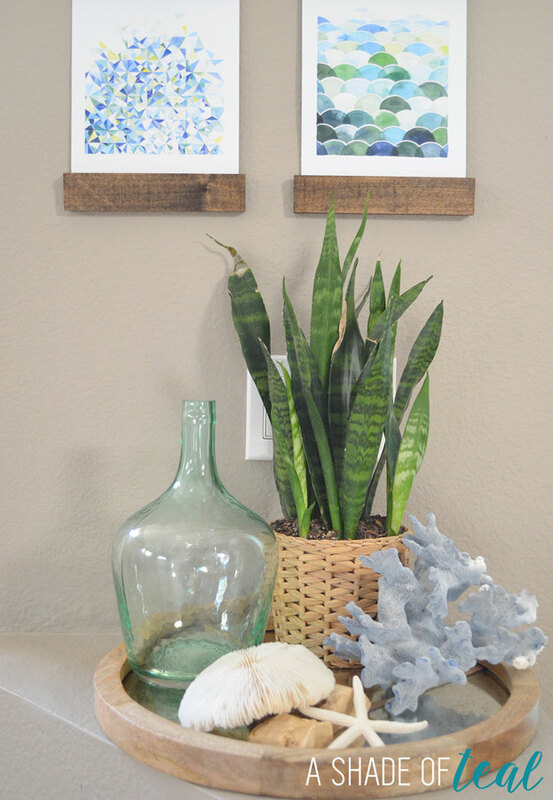 That’s it!, Super easy project that brings just the right amount of teal into my entry! What do you think? Isn’t it cute! 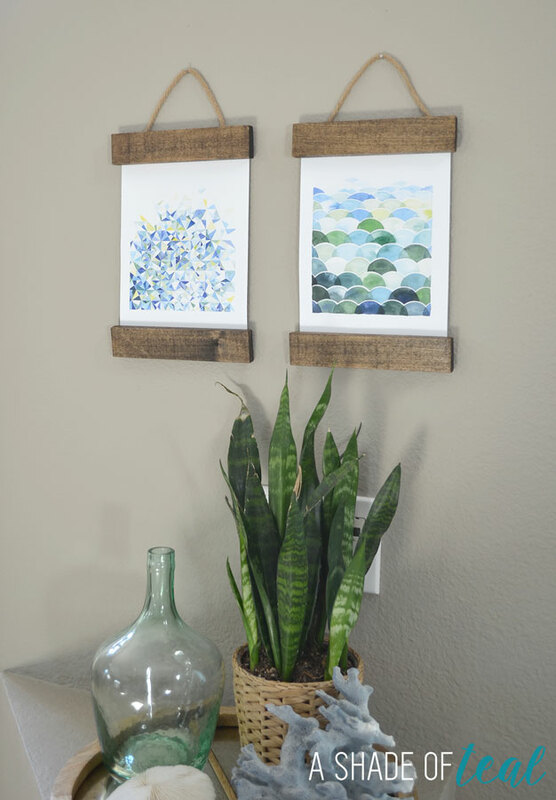 Now it’s your turn to join in on the fun, link up your own DIY wall art here. The Linky party will be displayed on everyone’s blog and will each be featuring our favorites! Hi, Katy ~ I love this project! The art is so beautiful and has such great colors! And I love the way you hung them! I’m heading over to check out the tutorial now. Thanks for sharing and have a great day! Thanks Tiffany, they really are so easy to make! I love these! 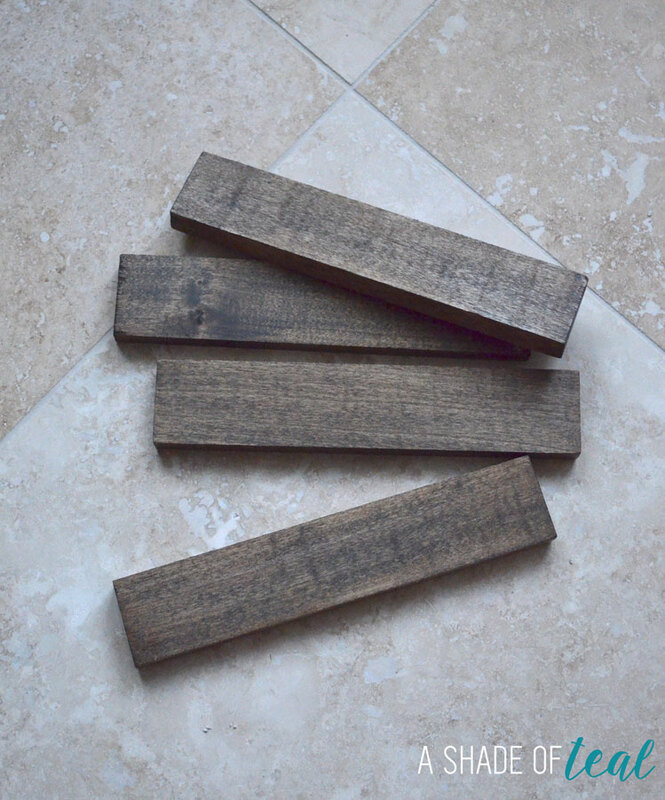 I am always looking for projects to do with my scrap wood! There are so many places this would look nice in my home! Thanks for the inspiration! I love the look of these! I love that their rustic but the pictures inside have a modern flare! I love the frames! 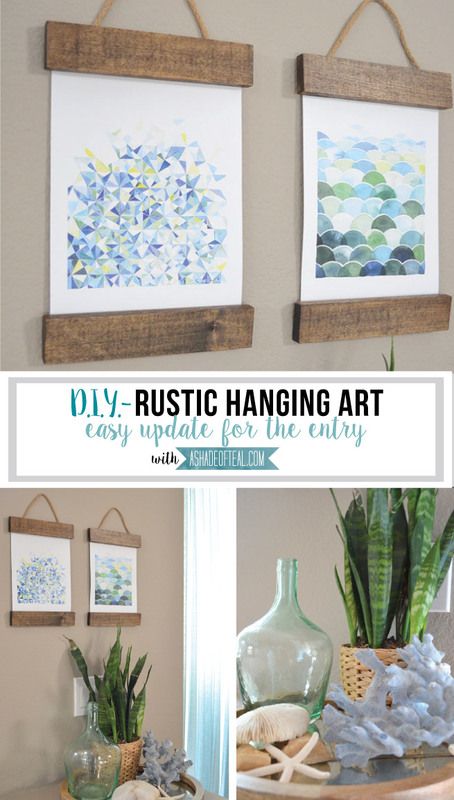 Thanks Ruthie, I love mixing rustic and modern! Ok! Love love this! They look fantastic. Great print choices too. I’m SO doing this!!!! I love these and you make it look so easy to do. The colors in the prints are gorgeous. Thanks Cathy! It really is so easy! This has to be my favorite! I like your style of art. I will be pinning! These are so cute… what a great idea! 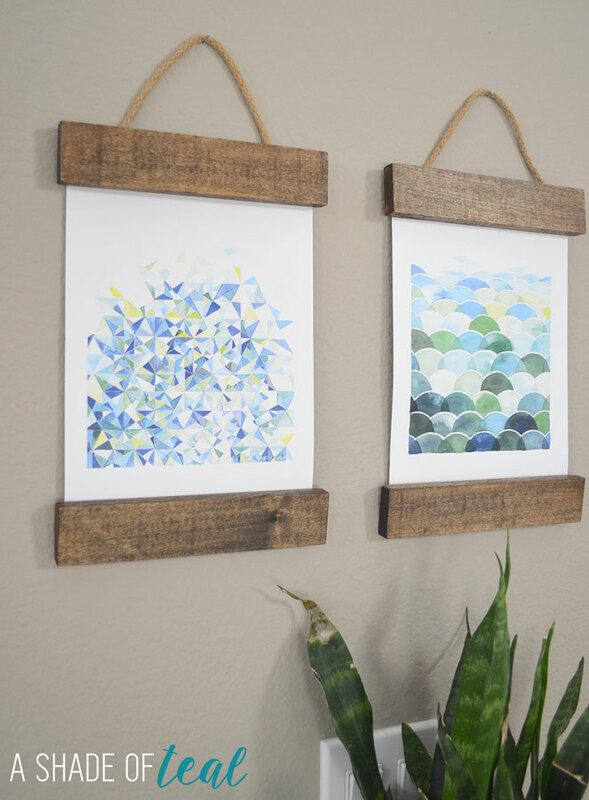 This is such a great updated way to frame art. 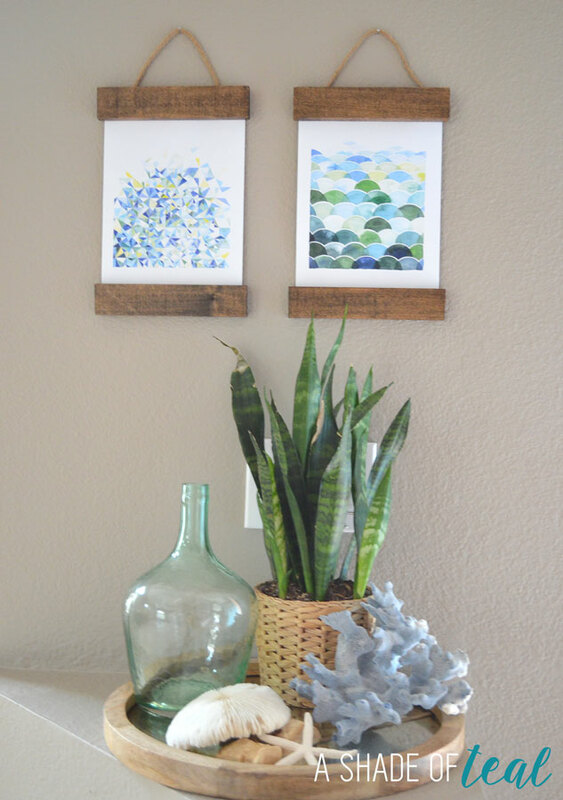 Love the clean and simple look of it and the art you chose from Etsy. That tray from Target is PERFECT. 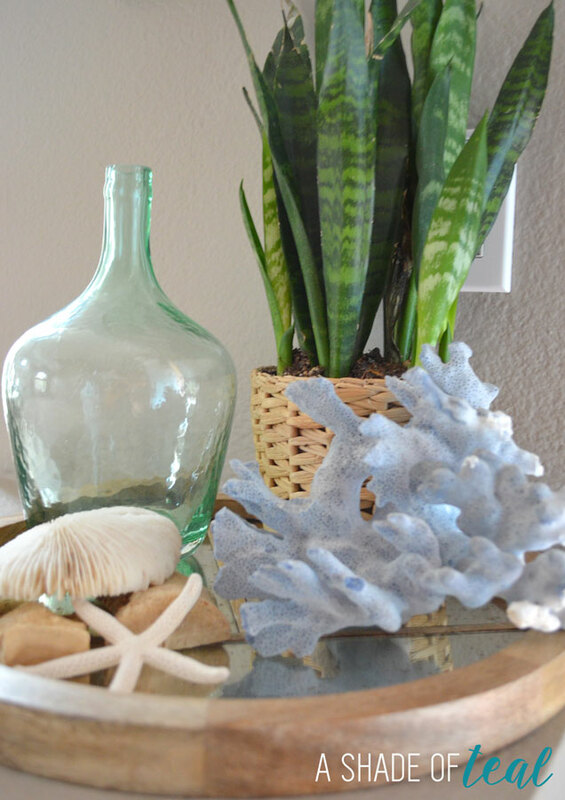 Beautiful vignette for the entry! Love it Katy! I will need to read your tutorial on how to make those frames. It looks so great with the Etsy art. The corner vignette is BEA-utiful!!!! Love the plant alongside the glass. Great colors. This looks great! 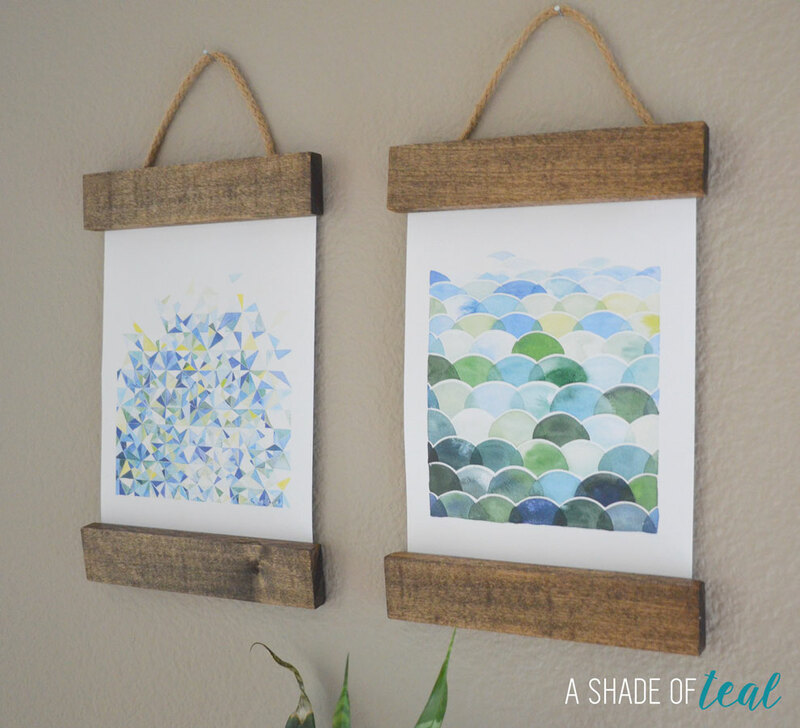 Love the color of the wood – and the artwork is so pretty! Hi Katy! I used this wonderful project as inspiration for a recent post and I’m just wondering if it would be okay if I use one photo with a link back here? Thanks for the inspiration! Yes, of course! Thanks April!